Should We Read Revelation Literally? How is it even possible to approach the book of Revelation a literal hermeneutic? The presence of such bizarre symbolic language seems to preclude the possibility of reading the book literally. The presence of highly figurative language does not preclude the possibility of literal meaning. “The prophecies predict literal events, though the descriptions do not portray the events literally” (Klein, Blomberg and Hubbard, Introduction to Biblical Interpretation, 369). To take an example from modern language, a news reporter might attempt to describe a speech by the President as well done, something which exceeded all expectations, etc. To do this, he says “The president ‘hit one out of the park.’” Most Americans will understand perfectly well what the phrase means, hitting a home run is “ultimate success,” a literal event, although it is described in a metaphor, symbolic language. To use a simple example in Revelation, chapter 12 describes a red dragon which persecutes the child of a woman. The dragon is clearly Satan, an image which is fairly obvious from the context (and interpreted for us by John in 12:9). Is Satan really a big red dragon? Probably not, but the image suggests things about Satan which are in fact true. The function of a metaphor highlights certain aspects about a “great red dragon” which are true about Satan, but not everything about the dragon is true of Satan. The difficult problem for the reader is sorting out what John intended to highlight and hide when he chose that metaphor. When Revelation refers to something with straightforward language, we ought to take the words at face value. For example, Revelation 2-3 refer to seven churches, the ought to be read as real churches rather than epochs of church history. Literal interpretation of Revelation does not deny figures of speech in the book. When the Bible says “like a…” it is clear that a figure of speech is being employed and that we should try to understand what the author meant by that figure. In each of the following examples, there is a metaphor / word picture which is interpreted for us by the text. Revelation 1:20 refers to seven stars and seven lampstands. The plain interpretation of these verses is that the stars are the angels of the seven churches and the lampstands are the churches themselves. There are a few examples which are more difficult to know how far to press the “literal” meaning. For example, is the temple in chapter 11 a literal temple in Jerusalem, or a “spiritual temple,” such as the Church? When chapter 16 describes a great battle in Armageddon, should we understand the location as the literal valley of Megiddo? The problem for readers of Revelation will always be entering into the metaphorical world of John. The more we understand that world, the better we can answer questions about how his metaphors originally functioned. What are other potential examples of “clear” or “unclear” imagery in Revelation? Are there elements of the book we simply cannot understand at this point in history? If so, how does “all Scripture is profitable” apply to Revelation’s more difficult elements? ← Can We Read Revelation Literally? Reblogged this on The Unconventional Apologist. Phillip, you are certainly on solid and important ground to suggest that Revelation, however one takes it, presents a WHOLE lot of interpretive problems. Simple lesson: we ALL should be careful and not “dogmatic” about the interpretations and especially the applications. Addendum to my own comment: If Cruz supporters are “listening”, my limited understanding of his specific theology (beyond general Evangelical) is that he may be more inclined toward the Covenant-Theology-related “Christian reconstruction” or “dominionist” position than to Dispensationalism, which is generally much more inclined to the kind of prophetic interpretation I referred to. I’ve not checked on his denominational affiliation, which is certainly not a solid indicator of personal theology, but I believe he may attend an independent or Baptist-affiliated church. (Baptists I see as sort of between Dispensational and Covenant theology… can swing either way… add your insight on this if you can, Phillip.) If indeed Cruz is “dominionist”… watch OUT! This is similar to the topic that I briefly talked about in regards to how to interpret Revelations from the last post. Depending on how one interprets Revelation one can come to the conclusion that God’s Kingdom is already established on Earth, that Jesus will come and establish his Kingdom, or another myriad of different possibilities. One difficult passage for me to understand is the Mark of the Beast, for is it going to be a physical brand given to people who follow the false prophet or is it going to be the things that the people who follow the false prophet do with those hands and think with their heads that will mark them against God. I honestly don’t know, on one hand there is very popular opinion that it will be a physical mark, but on the other hand I feel conflicted about a situation that could arise from this interpretation. If a person realizes what has happened at the rapture and tries his best to live how God would want him to and refuses to get the physical mark but is captured drugged and forced to take the mark is he automatically condemned even if he believes wholeheartedly that what the Bible says is true and Jesus is the Lord and Savior? If that is the case than is there any point in trying to be a Christian after the rapture happens, and if there is no point than why does God prolong the suffering of the people on earth when he could just annihilate the people in an instant during the rapture? It just is difficult for me to believe that a physical mark, which could be forced upon an unwilling victim, could condemn a soul. I believe the willful turning away from God at this stage of God’s plan being enough to condemn, as that is a mental and spiritual action, but the physical mark doesn’t cut it for me. I don’t know if anyone else has an opinion on this or would be willing to clarify things for me. I would say that when we interpret Revelation it is important to recognize that when John was writing it they did not have all of the technology and inventions that we have today so the way he describes certain things could be something we are commonly aware of now but John had to describe them in a way that he understood. Also while interpreting Revelation I would say that the majority of it can truly be used as common fact and truly what is meant while John is writing this. We should while reading Revelation take careful time to really and truly process what he writes about concerning the end times. I think that Revelation is most definitely accurate to the end times and we should take what is said extremely seriously while also being conscious of the difference in time frames. On the question of whether we should interpret Revelation literally, I would say yes, so long as we can. Frankly, the only other option would be to take the entirety of the book as figurative. Considering there is no writing that actually does that, other than maybe poetry… it seems unlikely that John wrote the book entirely out of metaphors. We are meant to understand scripture, otherwise there would be no point in us having it. Why then would John record God’s word only figuratively, especially without explicitly stating so? It would seem to be an unnecessary hurdle for one of the most important revelations in the biblical narrative… the ending. It just seems more logical that the book is intended to be read literally and figuratively where metaphors are actually used… wherever that may be. The first goal is to read scripture as literal. For instance, the tomb was a real tomb not a metaphor for death. However, Revelation is literature that is describing future events. John the revelator could only write in terms that he understood. If he saw bombs falling from the sky he wouldn’t know how to describe that accurately. So, it is a matter of reading literally, but also understanding that parts may be written with limited knowledge. Brandyn, I agree with what you say have to say in regards to the interpretation of scripture. I believe it to be very important to, first, interpret scripture from a literal standpoint. I think that the Word gives us clear, non-metaphorical instruction numerous times that is meant to be viewed through literal lenses. Many times throughout the Bible, however, it’s made clear that it is not to be taken literal when it is compared to something such as…”like as” or “as if” and so on. I believe that the Bible makes it very clear when this is the case, such as in parables that Jesus tells. In this circumstance, I also agree with you with the fact that John is simply describing the events that are to come with things that are knowingly comparable to him. Ultimately, however, we must view the Bible from a literal standpoint, but be able to make the appropriate changes when necessary. Some are common sense, but some are not so easy to notice. All we can do is ask God for clarification on such questions and do our further theological/biblical research so that we may be fully equipped in our understanding of the Bible. I really liked the stance you took saying the first goal should be to interpret the scriptures as literal. I believe that is important to read the Bible as literal. Stories like Joshua stopping the sun and Moses parting the Red Sea are not to be explained or justified, they are meant to be believed. I get sick of people trying to explain how science can determine why the ten plagues happened. I believe that we serve a miraculous God who can do anything. That being said, there are some things in the Bible that aren’t to be taken literally. The book of Daniel has parts of prophecies and dreams that are symbolic and metaphorical. So I agree that you should come at the scriptures literally, and if you get to a point where it just doesn’t make sense, then start looking at it as possibly allegorical or metaphorical. I would agree with the ascertain that it is possible to read the book of Revelation with a literal methodology where the text itself is clearly literal. But where the text is clearly allegory, metaphor, or simile, it has to be treated in manners respective of the literary devices themselves. TO do something other than that I believe can get the reader off into some really weird ground theologically speaking, which then can turn into horrible dogma. Some very clear references that can be taken literally are often numerical such as the sealed 144,000 or the 1,000 year reign. A passage that needs to be treated more allegorically is the one in which John talks about the scorpion-locust like beasts, which I have heard preached as a literal beast, a demonic horde, and even as Apache helicopters. It is hard to get a true and clear reading on something like this, not to say that as theologians we should not try, but rather that we should be very careful in the ways that we interpret things of this nature. I think that the book of Revelations would have to be interpreted literally in order for it to be acceptable for the rest of the Bible to be interpreted literally. I don’t think one can just pick and choose which books or texts can be allegorical and which can be literal, there must be a consistent theme. I also feel that John’s experience was so otherworldly to anything he could compare it to that it is understandable that it would be difficult for even him to make sense of it all or how to explain it, let alone a audience that is reading it 2,000 years later that tries to interpret mostly likely from what they also are use to encountering. Man also has a hard time understanding the spiritual world, we have no idea how things actually look for all we know things could literally look as John describes them in Revelation. I cannot remember who told me or out of what book I heard this. But in the past I recall somehow hearing that Revelation was a book that was going to be understood by those in the end times. The person, I think it was a GBC class, said that we cannot know for certain what is happening in Revelation. But those who come during that time, will have everything made known to them. We can do our best to understand the book. But in the end, it does not really relate to us now. And it definitely should not be allowed to split up Churches. The interpretation of Revelation is fun to wonder on, but in the end does not play into whether we are saved or not. That being said, we can still use it as a timeline to see if we are the end times and can use it to answer some questions about how the whole “end of the world” scenario will go down. In the end it does have some points we can learn from it, but we should not split up over different interpretations. I think that Revelation itself is “literally” true, but that there are certainly elements of the book that are to be understood figuratively. Your illustration of the news reporter was spot on. In order to understand what is being said, it is important to try to understand better how it is being said. For example, the parables of Jesus were not intended to portray actual historical events. While they may have been adopted from real life situations, they themselves were not literal. They were simply intended to portray a moral truth in a more understandable and relatable way. I think certain aspects of Revelation can be thought of in the same way we come to understand parables. First we should attempt to understand it’s purpose and then what it means. Understanding the books of Daniel and Matthew helps with the figures of speech in the book of Revelation. Most symbolism and figures of speech in the Bible is interpreted by the Bible itself. Such as, mountains are kingdoms, horns are kings, beasts are men etc. The word of God is its own best commentary. 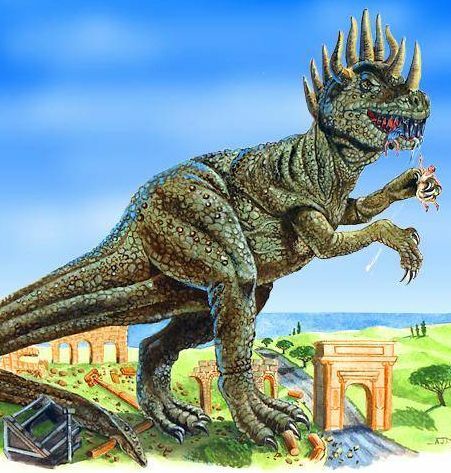 Another example of unclear imagery is found in Revelation 13:2 when the beast is described. “The beast I saw a resembled a leopard, but had feet like those of a bear and a mouth like that of a lion… ” The beast will be given power and authority to rule. My dad began his pastorate in the 1950s, at the height of the Cold War. I remember him preaching, even into the 1980s, about Russia being this bear to the North. With the fall of the Soviet Union, I have since read interpretations saying this might be China or Korea. Whatever the interpretation, we are clearly told that studying the book of Revelation will bring blessing. All Scripture truly remains profitable. Only poorly informed fundamentalist Christians and fundamentalist atheists believe that the Bible should be read and understood literally. I am neither poorly informed nor a fundamentalist, and you may not understand what I mean my literal. Maybe re-read the article above? “…how does ‘all Scripture is profitable’ apply to Revelation’s more difficult elements?” — I think Revelation has much to offer, even though it may be one of the more challenging books of the Bible to preach or teach. It is essential to keep the major themes of the book in mind. However one might interpret the Battle of Armeggedon, the theme of Christ’s victory and triumph over evil is clear. A pastor can acknowledge there are differences of interpretation, while proclaiming this important message. Dr. Long, Have you come across the reading that the book of revelation is in reference to Rome? My last Greek teacher, Dr. Peter Perry held that stance and it really boggled my mind. I do agree with you, but still need to do more research myself in this book. Yes of course, I think much of what we read in revelation is about Rome. For example, chapter 17 and 18 are absolutely clearly referring to the empire. I would also include the beast in chapter 13, and quite a few other things. Usually I say it refers to the Roman empire at the time of the writer, but ultimately applies to an ultimate Roman still in our future. One thing to keep in mind is not just how much we can understand at the current time, but how much we were even meant to interpret. When viewing Revelations in the lens of purely a description of things to come, then one could easily come to the conclusion that most if not all should be able to be understood. However, when viewed more in the context of worship, a sense of something big coming, or even just the blessing granted within the book, one does not necessarily require a full understanding of the material to get value. I think the idea that one has to be able to interpret the book is a very common misconception that people have that pushes them away from wanting to read it, and that maybe there are better approaches. above post states that in order to understand John’s metaphorical language it might be good to look further into John’s language itself. I agree with that and it is something that i necessarily didn’t think of. I think what is so hard is trying to understand the difference when John is talking symbolically or metaphorically. Going forward if i can distinguish the two a bit better the more i will be able to grasp Revelation. Reading this post reminded me of when I read all 13 of the Left Behind books, it was very intriguing. But I also think that those books are far-fetched, and a little silly. Of course, when it comes to Revelation there are a lot of unknowns, and things that we won’t know until they are revealed in time. Instead on focusing on how we should interpret things, I think it’s important to focus on the hope we have in Christ and sharing that with others so that if it comes down to it…they won’t be left behind. I think the question that is posed here if we should read Revelation literally should be answered yes where it is applicable. I think it is very hard to determine where in Revelation John the traditional author wants his readers to take his visions literally and where he has his metaphors. As listed above the dragon could taken as a literal different version of Satan or a metaphor which gives him power and authority through his attributes. I think we should interpret literally where it is literal. This would have to be a known literal translation and not something that we could expunge upon. I would agree with you here that revelation should be read literally where it is applicable. Just going off of what John said as to where within the book of Revelation he specifically wants us as readers to take things literally is pretty vague. I would agree also that the dragon that is depicted would be a good way to look at the book of Revelation in a literal way as a form of Satan. I’m not an expert of breaking down and analyzing the Bible. But for my personal opinion, I would think that we are called to read and interpret the Bible literally to get a full understanding. I don’t think we can just pick and choose which book we want to read and take literally. One of the post above talks and describes how “Entertaining” Revelation can be. We can use Revelation as a timeline to see how it lines up with the end times. Reading this book also allows us to answer some of the questions dealing with “end of the world” theories. Even though there’s a lot of unknown in this book, we won’t know until to time has come when Christ returns.